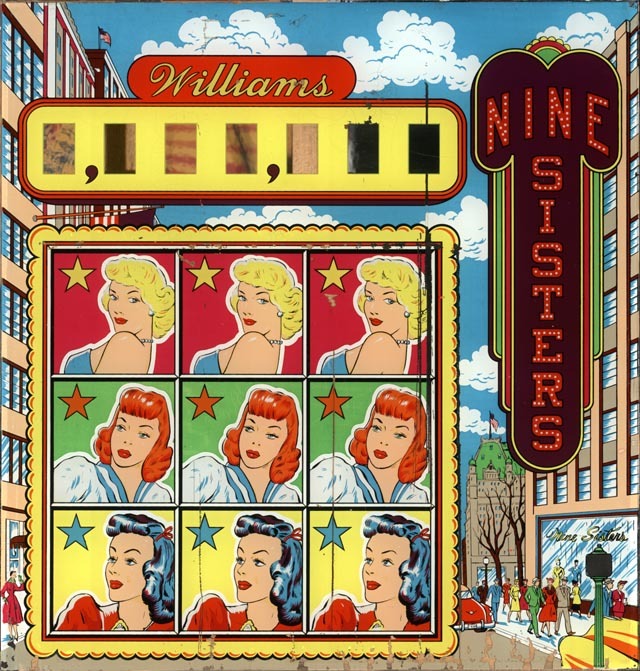 The 1953 Williams Nine Sisters is a pretty cool woodrail with several features that were recycled in pinball nearly 50 years later. 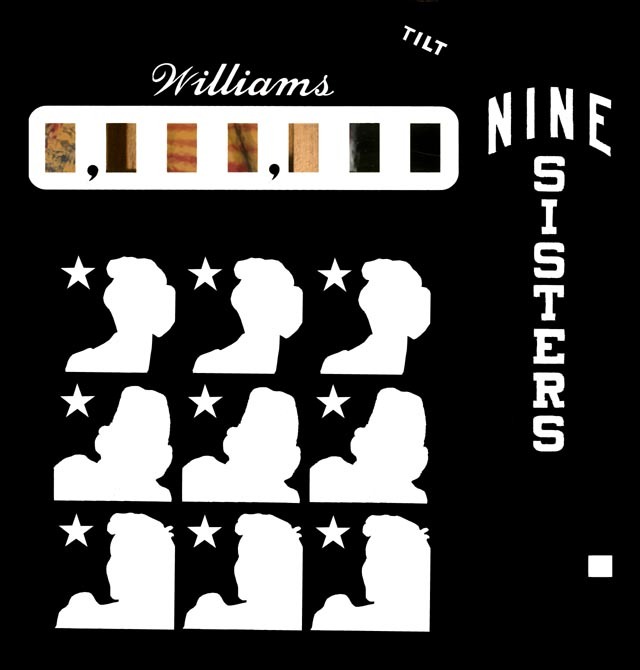 So when a Nine Sisters backglass walked into the shop for restoration, we were more than happy to make it happen. 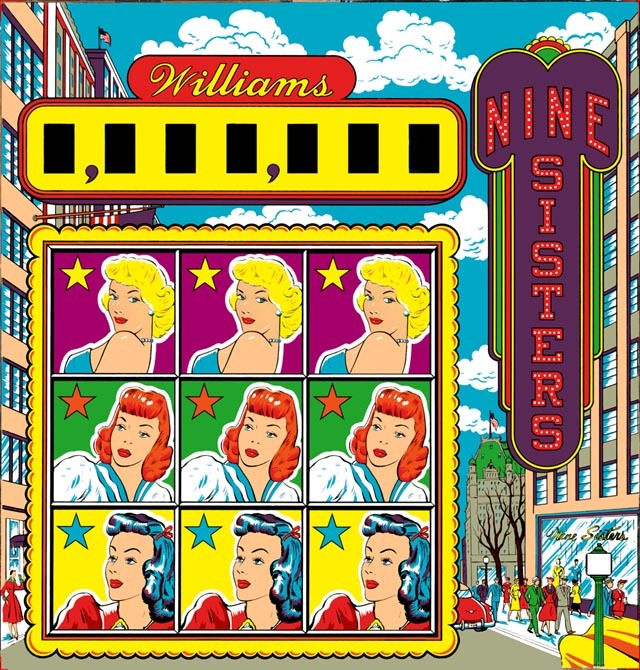 Note in our original scan (first picture) the background for the three blonds looks red – but in reality it’s purple. (For some reason we had color scan issues with purple.) But check out the before and after pictures below.